A great deal of respect is paid in Work circles to the memory of René Daumal. The poet and philosopher is honoured both as a literary artist and as a human being. His personal circumstances were such that he struggled more than most people must with life, health, and art. His own struggles bring to mind analogous circumstances and struggles experienced two decades earlier by Katherine Mansfield, the New Zealand-born fiction-writer, who is also remembered with affection in Work circles. Parallels in their lives are striking. Both died of tuberculosis, Mansfield at the age of thirty-five in 1923, Daumal at the age of thirty-six in 1944; Mansfield at the Priory in the presence of Mr. Gurdjieff, Daumal in the company of Madame de Salzmann. There is one major difference and it concerns their art: Daumal incorporated the insights of the Work into his poetry and fiction, whereas Mansfield was no longer writing fiction (only correspondence) when she moved for the last time to the Priory at Fontainebleau-on-Avon. Mansfield’s short stories are widely read to this day, especially by feminists. Daumal has a presence on the periphery of 20th-century French poetry and prose. In the literature of post-war France, Daumal’s writings occupy an odd place. The “odd place” is the “simplist” position he defined for himself between the extremes of Dada and Surrealism. As well, his poetry and fiction make strong use of allegory, a neglected literary device in 20th-century literature, a literature largely given over to irony. Finally, his later work and last years were much influenced and enriched by G.I. Gurdjieff. All of this has endeared him to francophone readers. Yet among anglophones readers, despite the best efforts of an array of talented translators, his poetry, fiction, and essays are not widely read. There is always the sense that whatever the nature of Daumal’s subject matter, he is also writing about something else. (His basis is his anabasis.) The problem for English readers is that he has no direct equivalent as a writer, though right now I am going to argue that there is an English poet whose temperament up to a point reflects that of the French poet. A comparison-and-contrast of Daumal with Edward Thomas is rewarding. René Daumal (1908-1944) was a French writer, philosopher and poet. His alter ego is that of Edward Thomas (1878-1917), the Anglo-Welsh poet. Both are poets who go beyond the world we know. Daumal found a way “behind the beyond” (to use Stephen Leacock’s felicitous expression!) whereas Thomas encountered no teacher (though he was personally and artistically close to Robert Frost who lived close by on a farm in Hampshire). Daumal’s life was cut short at the age of thirty-six by tuberculosis in the midst of the Second World War. Thomas’s life was cut short at the age of thirty-nine during the First Battle of Arras. There is the sense about both writers that they were under siege for much of their lives and that their finest works lay ahead of them. Who answer when such whispers bid. So Edward Thomas entered the registry of the war poets and the war dead. Indeed, his epitaph reads as follows: “And I rose up and knew that I was tired – and continued my journey.” It was no “holy war” for Corporal Thomas. René Daumal’s journey never ended, and in a sense it will never come to an end, thanks to his questing spirit and his questioning mind. Indeed, he waged the “holy war” of the Sufi all his life. He felt he had imaginatively encompassed the evidence of the known world and hence had a handle or even a purchase on the evidence of the unknown world. He could go to work on his personality and character and he did. I must resist the temptation to write at length about Daumal’s prose, poetry, and fiction, as I have at hand the two biographies of the man and the three English-language collections of his writings. When I reviewed Pierre Bonnasse’s “The Magic Language of the Fourth Way” (Inner Traditions, 2008), I stressed Bonnasse’s indebtedness to Daumal’s “magical” writings and visions. I know of no finer or deeper contemporary tribute to the worth of Daumal’s life than Bonnasse’s words. This production is described as marking the centenary of Daumal’s birth. It is chastening to think that if he were alive today the poet would have reached the ripe old age of one hundred years! There was no printed program, but here are the details from the poster. The text was spoken (recited and at times enacted) by Priscilla Smith. The dancer (an enacter too) was Dolphi Wertenbaker. The oud-player was Chris Wertenbaker. The string-player was Jeff Greene. Roger Lipsey introduced the work and led the discussion afterwards. The sole surprise for me is that Professor Lipsey has no Wikipedia entry. He has taught art history and classical literature at the State University of New York in Potsdam, N.Y. One day I will examine his three-volume collection devoted to the life and work of Ananda K. Coomaraswamy (compiled for the illustrious Bollingen series in 1977). I have long wanted to read his book titled “An Art of Our Own: The Spiritual in Twentieth-Century Art (Shambhala, 1988). Any Wiki entry devoted to Mr. Lipsey would need to stress his essays and his contributions to Gurdjieffian studies, at once scholarly and appreciative. “Holy War” is indeed a prose poem. The entire text of the work of some 2,000 words is available on Google. (Type in Daumal’s name and then click on “Holy War.”) The original French text was published as “La Guerre Sainte” in the collection “Poésie Noire, Poésie Blanche” (Editions Gallimard in 1954). The translation here is the one titled “The Holy War” which D.M. Dooling translated into English for an early issue of “Parabola” (7:4). The Internet text is that of the Fall 2000 issue of the “Gurdjieff International Review.” With slight changes, it is the Dooling translation that served as the basis of the production. Characteristic of Daumal’s writing is his thinking or pondering. (I like to pun that his writing is “ponderful.”) He is not given to visual imagery or verbal concision, but the reader or listener feels that the man is responding both as an artist and as a human being. The text begins riddlingly enough: “I am going to write a poem about war. Perhaps it will not be a real poem, but it will be about a real war.” A little prankishness goes a long way! Daumal’s “guerre sainte” refers to the inner war, or striving, rather than to the Islamic “jihad,” yet the “jihad” (the word is not used) is seen to be the outward expression of an inner conflict and confusion. Daumal’s warfare might be described as a “crusade” – to use the word no U.S. President after George W. Bush will ever use again – because the battleground lies between the head and heart of man rather than amid the society of men. The stage was evenly lit and decorated with five Oriental carpets, one of them hanging from the ceiling as an eye-catching backdrop. Seated on the stage were (from left to right): Priscilla Smith, the speaker; Jeff Greene, string player; Chris Wertenbaker, oud-player; Dolphi Wertenbaker, dancer. Professor Lipsey appeared, sat on a bench, and spoke accommodatingly to the audience for twenty minutes. He is balding, black-bearded, spectacled, and has a gentle manner. He sketched in Daumal’s literary background, stressing that he was “a seeker of truth” as well as “a writer of great exuberance,” whose abilities were quickly noted by Jean Paulhan, the Paris editor and publisher. Daumal found himself divided between literature and spirituality, until he had a chance meeting with Alexandre de Saltzmann, who recognized his predilection for spirituality and introduced him to his wife Jeanne who introduced him to Mr. Gurdjieff. Professor Lipsey noted, “In the world of spirituality, originality is not regarded highly. Here was an opportunity to see what an art would be like if shaped by higher ideas.” Daumal wrote about “jihad” which to him meant “extreme striving,” rather like the Christian notion of the “unseen warfare.” Lipsey surprised me by not referring to the “Bhagavad Gita,” the Eastern world’s pre-eminent epic poem of warfare, inner and outer, but the Hindu dimension was explicit in the production itself. Dolphi Wertenbaker, dressed in orange and black, jewelry on her head and brow and ears, red cast marks on her hands and feet, danced with bare feet. With her fingers she recreated the classical mudras of bharatanatyam which she learned first in Ceylon and later in Madras, India, where her father, James George, was the Canadian High Commissioner. Ms. Wertenbaker moved her limbs with genuine purpose, conveying a great range of emotions. She possesses quite distinctive looks. I was finally able to connect them with the equally distinctive and noble looks of Olgivanna Lloyd Wright, who also taught the Movements. She danced throughout the recitation and at various points echoed the words of Priscilla Smith. Ms. Smith bears a striking resemblance to Adrienne Clarkson, the last Governor General of Canada. The two women carry themselves with ease and assurance. Ms. Smith was dressed in blue and black and spoke with clarity and purpose. She is a New York-based actress and a special favourite of director Andre Serban. She had committed the script to memory and combined the words with appropriate movements and gestures, by turns bringing forth the text’s humour, irony, sacrcasm, indignation, lyricism, mimicry, and drama. I will long remember her declaring with desperation “And the war has hardly begun” and affirming “I am I know I wish” and informing “There is only one right, the right to be” and concluding “He who has declared this holy war with himself is at peace with his fellow man.” At one or two points she rose out of the sea of the text as an actress, rather than as a speaker reciting lines, but not for long, but just long enough to prove that the text embraced acting as well as witnessing, as she was intent on giving a “reading,” so it was the feeling behind the words that was to be the point of interest, not any single dramatic interpretation of it. The two musicians performed intermittently and improvisationally behind the words. There was no electrical amplification. Mr. Greene played a variety of long-stemmed stringed instruments, and Mr. Wertenbaker (the dancer’s husband) strummed the oud and various other smaller instruments. The performance ended with the last lines of the text being recited in both English and French to great effect (especially in an officially bilingual country). The performance lasted a little over thirty minutes. The audience was appreciative but afraid to applaud and resisted doing so until Professor Lipsey joined the performers on stage. Then there was enthusiastic applause, followed by the discussion that he led. Again, the audience was reluctant to ask questions, so I posed the first one. I noted that we had learned about the genesis of the poem from the introductory comments. I then asked, “What is the genesis of this production?” It turned out that Professor Lipsey was familiar with the text, and after the shock of the events of September the Eleventh, turned to work on it to concentrate the confusion that he and so many other Americans had felt and were feeling. Here was a way to contain the confusion and frustration and deal with it. I pursued the question of the genesis of the production afterwards. I learned that the first production (with the same speaker and dancer and the oud-player) was held in a church in Garrison, a hamlet in the Hudson River district of upstate New York in 2003. Since then it has been performed in colleges, institutions, and theatres. The Toronto production is the ninth in the ongoing series. Ms. Smith said that the text on paper is one thing of importance, but what is more important is what lies beneath the words. Ms. Wertenbaker said that she had read Daumal’s essays on Indian theatre and was startled to learn that there is no distinction in Hindi between “theatre” and “dance.” It seems the same Sanskrit-derived word is used for both forms of expression. The audience was interested in the instruments and Mr. Wertenbaker explained that the oud that he played was a Turkish instrument (“constructed in Boston”). “The oud is the father of the lute and the grandfather of the modern-day guitar.” Among the other instruments played were Chinese cymbals, thumb-piano, ayala tambur, and sato – all of them exotic-looking and exotic-sounding. Then there was a low-key reception of wine, mineral water, and canapés, and suddenly it was nine o’clock on a snowy Toronto Saturday evening. My wife Ruth and I left the Ignatieff theatre, which is informally known by the students of Trinity College as the “jit.” It formally bears the name of George Ignatieff, the diplomat and father of Michael Ignatieff, essayist and biographer of Isaiah Berlin, who is currently deputy leader of the Liberal Party of Canada. We left pondering the thought that in the midst of battle we must wend our way from the fort of war to the palace of peace. In other words, we must find a peace within the warring elements within ourselves and only then attempt to establish a cease-fire for the world at large. So the tragic deaths of Edward Thomas and René Daumal, both of whom were victims of world wars, took on new meaning amid the evening of music, dance, and spoken word. John Robert Colombo is a Toronto author and anthologist who has published some 200 books. These are listed on his newly reworked website . His last review for this blog was devoted to concert by Charles Ketcham and Casey Sokol at the Glenn Gould Theatre, Toronto. 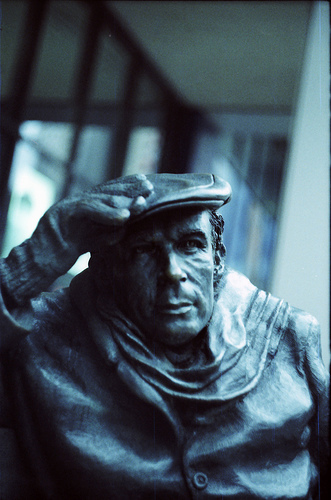 Everyone recognizes the name of Glenn Gould, the famous pianist and musicologist, whose crisp and no-nonsense interpretation of Bach’s “Goldberg Variations” took the musical world by storm in 1955. Almost as well known are Gould’s well-publicized antics – statements like “Mozart should have died sooner rather than later” and “The concert is dead.” The latter statement was proclaimed the same year that his Toronto neighbour Marshall McLuhan remarked, “The book is dead.” Both the concert and the book have been a long time dying. Gould was a great eccentric and recluse rather than a great character or stage performer. Tragically, he was habituated to pharmaceuticals, and I believe that this addiction partly accounts for the hyper-real (almost surreal) quality of his interpretations and performances. If you suffer hyperacuity, you do not enjoy his recordings as much as you do those of his much less brilliant contemporaries. It does not take genius to perform with brilliance, emotion, and insight. 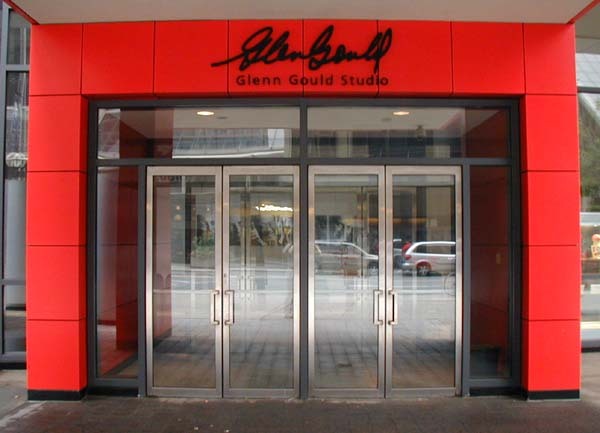 Gould came to mind as I paused in front of the statue erected in his honour at the entranceway to the Glenn Gould Centre of the Philip Johnson-designed Broadcast Centre of the Canadian Broadcasting Corporation in downtown Toronto. The statue may be said to stand, but the life-size, bronze effigy of him (wearing his characteristic rumpled raincoat) shows him slouched on a park-bench. I used to see him wearing that raincoat shambling through the halls of the old CBC Radio Building. The statue is a good likeness. The concert we took our seats to hear was devoted to the piano music produced by the collaboration of G.I. Gurdjieff and Thomas de Hartmann. Now one of the pleasures of writing reviews for this blog is that there is no need for me to explain the backgrounds of these two gentlemen or their unlikely partnership, probably unique in the annals of folk and ethnic musicology. The “Gurdjieff-de Hartmann music” has a devoted following among both students of the work and young professional musicians. I could reel off the names of a dozen well-known pianists who perform many of these 300 or so works, and there are discographies that list the innumerable CDs that they have recorded. I maintain an interest in Canadian cultural expression as well a “watching brief” on Fourth Way work, so permit to combine interests by sounding another nationalistic note. The musical world of the Fourth Way is well served by the retired film producer Thomas C. Daly of Montreal, who remains the faithful warden and guardian of this music, in his capacity of executor of the estates of the late Olga and Thomas de Hartmann. He has worked overtime to make these compositions available to music lovers. Count me among these lovers. I first heard these plangent, seemingly repetitive, chord-like compositions in the late 1950s, pounded out on an upright piano, as I awkwardly performed the Movements. Intermittently since then, I have listened to them in small concert halls and in the solitude of my study at home. Indeed, they have quickened my taste for the repetitive compositions of “the musical minimalists” (like Arvo Pärt) and the work of electronic composers (like Philip Glass). Gould himself experimented with musical constructions – splicing tapes of human voices together – to create compositions that sound like “musique concrète,” so he might well have enjoyed attending this concert as much as we did. The concert was organized by the Society for Traditional Studies, the earliest and the largest of the numerous organizations which take an interest in these ideas and motifs that are scattered throughout the City of Toronto (population 3.3 million). As a bystander, I wish these groups would collaborate more often than they do to sponsor public occasions like this one. The Glenn Gould Theatre seats about 340 and two-thirds of the seats were occupied by an audience of quiet-spoken, interesting-looking men and women, mainly middle-aged and professional or semi-professional in appearance. Tickets were priced at $25 apiece ($15 for students and seniors) and the two performers were Casey Sokol (percussion) and Charles Ketcham (piano). I am placing Mr. Sokol’s name first because he is quite active in Toronto. He is an associate professor with the faculty of fine arts at York University where he has taught and performed since 1971. He is a familiar figure in Work circles, performing these piano compositions with flair, enthusiasm, and affection. In the past he has selected compositions for his programs that reflect the varieties rather than similarities that are to be found in this body of piano music. In person he strikes me as having compressed power and intelligence. Mr. Ketcham is not to be confused with his namesake Charles B. Ketcham, the American theologian and the author of “The Ontological Ground for a New Christology.” (I wonder if they are relatives.) Our Mr. Ketcham (the pianist) makes his home-base in San Francisco. He is a welcome visitor to Toronto; he arrived during a minor snowstorm, the first of the season. He strikes me as a man who is able to wear two hats – the beret of the performer and the top-hat of the conductor – and bring to every musical occasion a strong sense of professionalism. For no good reason, I kept thinking of Messrs. Sokol and Ketcham as the “pepper and salt” of this concert, though both sported heads of white hair. Mr. Sokol supplied percussion accompaniment during the middle portion of the program. The musical part of the concert went from 8:00 to 9:45 p.m. and was followed by an optional forty minutes of discussion. This took the usual, question-and-answer format. Some members of the audience left after the performances, but most remained and took seats closer to the stage. Those members who remained were in for a double treat: some good answers to reasonable questions, plus the spirited playing of two more compositions: “Mama” and a second “Sayyid Chant” (to match the opening number). Sayyid Chant and Dance, No. 1. It would be difficult for a diligent rapporteur (like the present one) to do any more than record some of his general impressions and responses to the musicians and the music. It is beyond his remit and competence to do more than that. Mr. Ketcham offered a most professional performance of these works on a sleek black Steinway grand piano. In the past I would overhear the strains of “On the Steppes of Central Asia” whenever I heard other talented pianists perform these compositions. Mr. Ketcham added a new dimension with his broad sense of what constitutes performance and composition. So I kept hearing the unexpected strains of the compositions of well-loved European composers of the period (mainly the 1920s): Ippolitov-Ivanov, Khachaturian, Satie, Bartok, even Saint-Saëns’s “Aquarium” (from “The Carnival of Animals”), as well as echoes of the semi-notes of Arvo Pärt, the latter a legacy of attendance at the previous evening’s Estonian concert at St. Anne’s Church. Mr. Ketcham also added to my appreciation of the range of the material, specifically the variety of subjects and effects. There were in effect the “ethnic” influences: rhythms and melodies described as Ancient Greek, Afghan, Moorish, Armenian, and “Oriental.” Then there were the moving and mysterious religious motifs: Sayyid chants and dances, Dervish dances, and prayers, etc. Finally there were the moods: elation, aspiration, dejection, depression. Finally there were complexities, solemnities, and intimacies aplenty. All the pieces are quite short, yet each gives itself over to a seemingly complete expression of a rhythm, a feeling, even a thought, with a handful of the compositions ending abruptly, as if cut off in mid-expression. At various times I felt I wanted to march in a procession or step out into the aisle and perform a series of Tai Chi exercises. The printed program enjoined us not to applaud the compositions individually, but to reserve our applause for the end of each part of the program. So there was plenty of pent-up energy! The concert opened with “Sayyid Chant and Dance,” a work of intricate complexity, very pianistic. The program ended with an encore performance of another Sayyid composition, one that expressed incredible longing … for what, who can say? These served as a pair of bookends for the musical portion of the concert. During the mid-section of the program we heard and saw Mr. Sokol accompany Mr. Ketcham, taking delight in the use of a hoop-like drum with jingle-bells called a daff, a gourd-like drum called a darok, along with other unfamiliar, eye-catching and ear-holding instruments. The rhythms of dances familiar in ethnomusicology (perhaps given today’s climate of opinion it should be called “exomusicology”) were pronounced. The gentlemen performers worked together with a unity of aim or purpose as if they did this with delight every night of the year. While listening to “Untitled Music” and other compositions I felt that parts of me were being energized and other parts being anaesthetized, so that various operations and procedures could be overseen and performed. It was a series of quite concentrated experiences, rather surprising in the same way that an acupuncture treatment is riddled with surface surprises: unexpected twinges, twitches, tweaks, and (to continue with the t’s) tastes. The discussion began with Mr. Ketcham asking two questions: Where does music come from? What does music express? He did not attempt to answer these perennial questions, but he added that he had directed the first question to those composers he had met. They all drew a blank. He directed the second question to members of the audience. One member stated that she felt that the music was coursing through her blood stream, going from the heart to the head. Another member said he felt it affected his breath and his breathing. A woman said she sensed that the music was being “disclosed” rather than composed or discovered. One observant questioner asked him how he “prepares” for a performance. She had presumably noted how he would pause at the keyboard before tackling a composition. He momentarily looked like the little boy caught with his hand in the cookie jar. In reply he quoted a previous speaker who had said that the music caused him “to make space.” “I make space,” he said, economically. Toronto audiences are inclined to be tongue-tied, so I asked two questions to which I received responsible replies. The first question was: Do musicologists recognize the Gurdjieff-De Hartmann collaboration to be unique, given that ethnomusicology was a characteristic of the 1920s? And why are these three hundred compositions not part of the repertoire of contemporary performers and repertory companies? Mr. Sokol replied that the character of the interaction between a professionally trained composer-performer and an untrained traveller-collector of indigenous traditions is recognized to be unique. Mr. Ketchum added that the musical scores were not published until the 1990s, the decision having been made late in the day by Michel de Salzmann to make them readily available. Also, the compositions are “intimate” and involve one or two interpreters, not all the players of symphony orchestras. Like the rest of the audience, Ruth and I left the Glenn Gould Centre with the sounds of the piano and percussion instruments vibrating within us. We paused before the bronze statue of the great pianist on the sidewalk in front of the building. Despite the fact that his gaze is averted, I bent down and peered into the sockets of his eyes. It seemed almost sacrilegious to do so. But (it may be my imagination) I observed – a wink. Here is a related review of a new CD. Not everyone is privileged to live in a large city like Toronto which hosts concerts of the quality of the one that we were able to attend. But for those people who have a taste for this music, but who live elsewhere, it is possible to have an aftertaste (so to speak) of what was missed through the release of a new CD. That quotation comes from the program notes that accompany the newly released CD of piano compositions performed by Ms. Denzey titled “Gurdjieff / De Hartmann.” The CD is available from By the Way Books or from the : ExGurdjieff Foundation of Toronto experimental Group. (Both organizations have websites.) The list price is $25 CDN, the price charged for a single concert ticket. Ms. Denzey recorded all of the twenty-one compositions in her seventy-sixth year during one six-hour session in 1999. The tastefully produced CD includes three or four of the compositions that we played at the concert. (Curiously, both the disk and the concert include the same number of compositions.) Her interpretation is a less dramatic and far softer one than the interpretations offered by Messrs. Sokol or Ketcham. Perhaps it is more feminine. This in itself is neither a positive nor a negative. In fact, it is an attestation to the power of these compositions to move men and women in the same direction, each at his or her own speed, each in his or her own way. John Robert Colombo is known throughout Canada as “the Master Gatherer” for his compilations of Canadiana. His two latest books are “The Big Book of Canadian Ghost Stories” (Dundurn) and “Whistle While You Work” (C&C). The latter 400-age paperback book consists of essays and articles of general cultural and specific esoteric interest. I am not really knowledgeable about “Beelzebub’s Tales to His Grandson” or about the commentaries that it has generated. Much has been written about G.I. Gurdjieff’s masterwork, and this is only reasonable given that it is a singularly difficult work to read aloud. One reason for this is the tome’s length, which rivals that of James Joyce’s “Finnegans Wake” and Marcel Proust’s “A la recherche du temps perdu,” literary works that were written in Paris and Zurich in the late 1920s, at the same time that Gurdjieff at the Café de la Paix in Paris was labouring over the manuscripts that make up the Tales. Next year I will be in a better position to discuss the Tales as I plan to attend the “All & Everything Conference” which is being held in Toronto from April 22 to 26, 2009. I hope to cover the event in detail – presentations, seminars, panels, banquet, etc. – for readers of this blog who might wish to attend but do not live near Toronto and hence are unlikely to be there except in spirit. So I will not presume to discuss the Tales, short of reminding its readers of two facts. its entirety. Disk one begins, “Well, my boy …. ” What gives? What is happening? Let me back up and try to explain. From time to time I have reviewed the books published by Dolmen Meadow Editions, which is the imprint of the Toronto Gurdjieff Group. Members of that group are quite active. 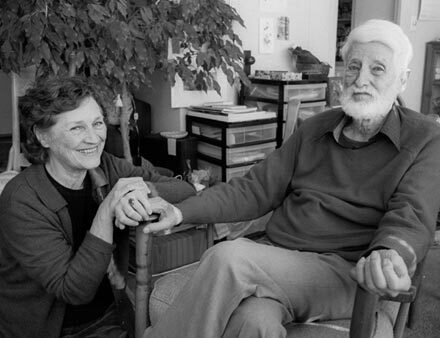 They are responsible for the appearance of a Russian-language text of the Tales, a mammoth undertaking, as well as the first English editions of “Gurdjieff: A Master in Life” (the recollections of Tcheslaw Tchekhovitch) and “Inner Octaves” (the English translation of Michel Conge’s classic talks). Some of these publications are for general sale; others are not. Some years ago members of Dolmen Meadow issued a set of four CDs in MP3 format of William J. Welch reading all of the Tales, I have yet to purchase those CDs of Dr. Welch’s reading, but one day I will. I recall he had a heavy and hearty voice and he always spoke “with a twinkle in the eye.” Then I will be able to compare and contrast his reading with the present one, which is an impressive and very womanly one done by Margaret Flinsch. The four-disk set of CDs in MP3 format (suitable for playing on both a computer and a CD player) is titled “G.I. Gurdjieff: Beelzebub’s Tales to His Grandson: An Objectively Impartial Criticism of the Life of Man as read by Margaret Flinsch.” Dolmen Meadow’s website offers this details: ISBN: 978-0-9780-661-2-3. List price: US $60.00. The jewel-box includes a model eight-page booklet that sketches in the background of the book and identifies the reader. Margaret (Peggy) Flinsch is one of those names that crops up in the literature of the Fourth Way, always in pleasant and positive contexts, for she knew Gurdjieff well, was respected by one and all, and at gatherings regularly recited passages from the Tales. She was born in Glendale, Ohio, in 1907; she taught in experimental schools; she married an Olympic oarsman and raised a family; she assisted in the preparation of the revised edition of the Tales which was issued by Penguin Books in 1992. All of that information comes from the booklet. Let me add that Ms. Flinsch was associated with the Blue Rock School, a progressive primary and secondary school located in West Nyack, N.Y. Her sister made a contribution to the Work: the late D.M. Dooling, founder of the influential journal “Parabola.” The Work seems to run in her family. 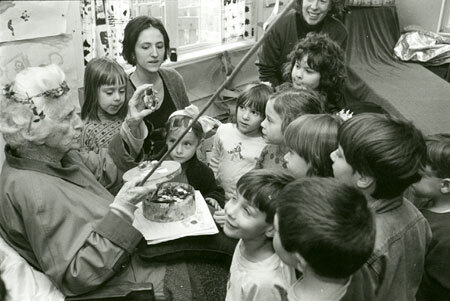 The author or authors of the booklet relate the Tales to reciting, reading, and listening: “Peggy stresses that this book is meant to be read aloud. And Gurdjieff states that his book is designed to reach both the waking consciousness and the subconscious. ‘For me,’ Peggy has said, ‘listening is the path to the subconscious mind.’” Such is the power of the spoken word. Not having a copy of the Penguin edition handy, I diverted myself by listening to Ms. Flinsch read the text while following it with a copy of the first edition of 1950 published by Harcourt, Brace and Company. After a couple of minutes of listening, it became apparent that the differences between the editions are mainly on the level of streamlining the expressions. For instance, on page 20, the text has a power “proceeding within.” Ms. Flinsch has it “aroused within.” I suppose this makes a difference, but how much of a difference I will leave that to specialists to determine – or to wiseacre. If you want to hear six or so minutes of the text as read by Ms. Flinsch, check the Dolmen Meadow website and click on to “Becoming Aware of Being Duty.” If you do so, you will hear a representative part of the whole. You will hear a compassionate woman used to speaking with assurance and authority; an elderly person used to reading to classes and groups of younger people; a teacher used to articulating without pontificating; a human being who is certain the text has meanings that may be conveyed with intelligence and insight. She takes the text slowly, and her rhythm is that of someone who wishes to be heard and understood without the need for drama or melodrama. Ms. Flinsch speaks the English of an educated professional person in an accent that is close to what Canadians describe as “mid-Atlantic.” She has no problems with the tome’s specialized vocabulary – “Sacred Vznooshlitzval” and “Askalnooazar” and so on – and indeed makes these expressions sound like English words. The key to her performance is that she reads these strange syllables quite slowly, whereas the attempt of the less-experienced reader would be to rush upon them and give them foreign intonations based on the derivations of their component parts. They are neologisms and legominisms, but they sound less like inventions than they do everyday expressions that are inescapable in the circumstances. Amusingly, the only peculiarity is the pronunciation she gives to the French words “bon-ton” – a scowl comes through! Perhaps the sole surprise is that Ms. Flinsch speaks the language like an American: flattening some word-endings, dropping the occasional “g,” and turning the “t” into a “d.” These are minor matters indeed. There is one other surprise. While the disks are playing, there are quasi-fractals that appear on the screen in shimmering colours. There is no relationship between the shapes and colours, on the one hand, and the words from the passages being read on the other. My overall sense of the recording, however, is that this set of disks is Ms. Flinsch’s lasting legacy to readers and listeners of the Tales for decades to come. We sense in her voice an authority that seems to derive from that of the book’s author. She gives voice to the author’s words by finding each chapter of the book to be a repository of humour and folklore and insight into the human condition viewed from a cosmological perspective, lightened with verbal pranks and rogueries, all of which she recites with a straight face. Here is a story-teller with a mission as well as a story-reader with a message. Indeed, she has shown how contemporary – and how postmodern – the Tales will sound when they are beautifully read. John Robert Colombo is known in Canada as “the Master Gatherer” for his compilations of lore and literature. His current publications include “The Big Book of Canadian Ghost Stories” and “Whistle While You Work,” a collection of essays about Canadiana and consciousness studies. He is an Associate of the Northrop Frye Centre, Victoria College, University of Toronto. HERMETICS & GENETICS: CODE OR CODES? Tantalus (an ever receding reward). present book, I find myself moderately curious about it. Vermont, which specializes in book of a specular and spiritual nature. which I will now turn my attention. advocate more than an interpreter. Watchmaker” (1988) and Giorgio De Santillana’s “Hamlet’s Mill” (1992). of the three-page bibliography. Hayes also credits reprints of G.I. such shortcomings are characteristic of “occult literature” generally. focuses on the following subjects and argues in the following fashion. eternal form of reality. The major religions harness very real forces. and acts as a cipher for philosophical and theosophical systems. each of the seventeen chapters). de Lubicz’s views on architectural forms of man). matter is alive and composed of vibrations and / or light. be generated or regenerated the multifaceted whole. as well as to the starry-eyed speculations of Rodney Collin. it exists on a hierarchy of planes or levels or dimensions. 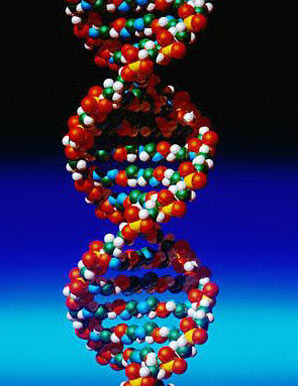 matter, in DNA and the genetic code,” etc. symbol or structure of the Ray of Creation. is as great as a whole, a whole as great as a part. Egyptian elite” to permit them to build their monumental structures. the exclusion of criticism of sources and common sense reservations. bits and pieces rather than for its “metaphysical” whole. John Robert Colombo is an author and anthologist who lives in Toronto. Victoria College, University of Toronto. His website is www. It was 90 years ago to the day that James George was born in Toronto. States and perhaps elsewhere as well. September 14, 2008, the actual day of his birth ninety years earlier. and grandchildren, who spoke about Jim as pater familias. U.S. college president and a world-famous theoretical physicist. which he described as “the most exciting time” to be alive. in everyone he had ever met. contributions. It was delivered without notes, but there was a text. I was invited to be a guest reader. Shetland Ponies!” Remember it: I will return to it. close-up, at least by Ruth and me. characteristic and the greatest misfortune ever to befall him. exploratory trip to Quebec City. eligible for special protection and support. birth by being a Rosedalian! … and change his name. Commissioner to the World of Values. P.S. 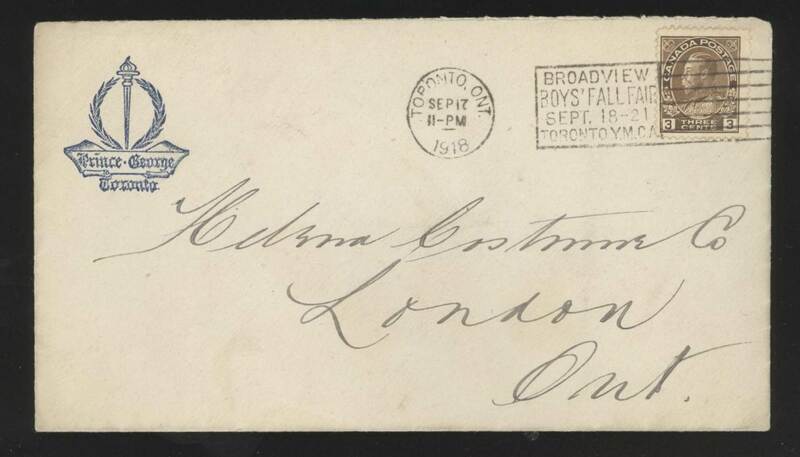 An envelope posted when James George was three days old. Allen Patterson is identified as the book’s editor. I assume Mrs.
surprised. On the book’s copyright page, there are two curiosities. 1. Ethel Merston. 2. G.I. Gurdjieff. 3. Ramana Maharashi. 4. J.D. Subuh. 9. J.G. Bennett. 10. Fourth Way. forty-nine black-and-white photographs of gurus and other people. There are generous source-notes and also an index of names. but that is what it says and I am willing to learn. work with the WRNS (Women’s Royal Naval Service) during the Great ar? More work should have been done here and elsewhere. this point shortly, but first some biographical information. mother also “dabbled” in Theosophy. 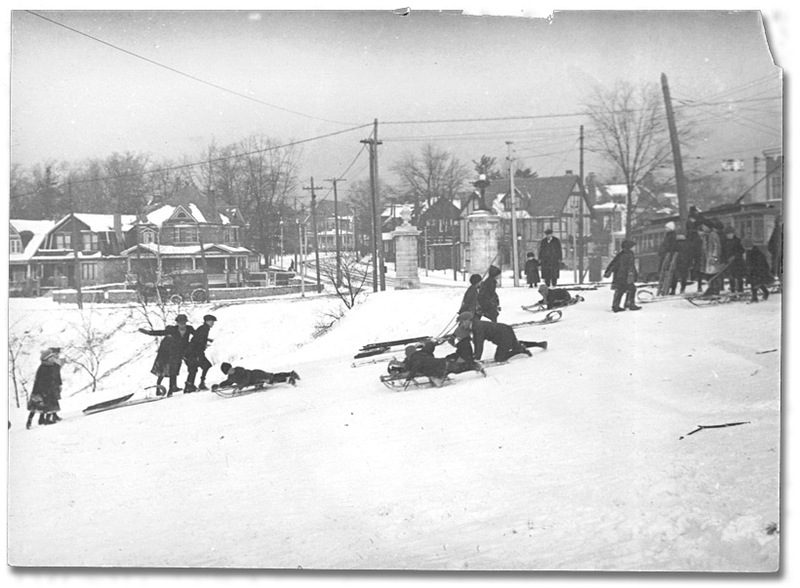 home front during the Great War. on the Fourth Dimension delivered by P.D. Ouspensky. the point of opening its doors to selected members of the public. many run-ins that he had with her. her personal associations with Gurdjieff’s followers. even had psychic readings conducted by Edgar Cayce and another by Mrs.
Eileen Garrett. Nothing much occurred. everyone else, except Ali Jinnah of Pakistan). had no rapport with the designated World Saviour, or he with her. struck by the place’s peace and beauty. of the politicians and bureaucrats of the national government. musicologists who had studied at Rabindranath Tagore’s Santiniketan. and Sri Aurobindo at Pondicherry. encountered Mataji, Krishnaji, known as The Mother. latihan to explain his end-of-the-day conversion to Catholicism. No doubt she did what she wanted to do at the time, but did it satisfy her? attentions and her achievements. What were her goals? Simply to live? Who is to say? She, the expert, does not say. terminus that is the destination. Looking back on this “quest” of hers, I wonder about its seriousness. of a miracle? Was she like Merston? with no strings attached. It never happened.